My friend Bess Christensen died on October 22, 2011. Bess had just turned 95. During her short illness, she had people she loved with her. She discovered new food to enjoy, and she told funny stories to cheer up her friends who came to visit. Bess was a woman of great strength and integrity who made a positive difference in our community. She did it by attending meetings and researching issues. As a former employee of Random House Dictionary, she was particularly good at that. (She always got a kick out of making corrections to my writings.) She asked questions and didn’t stop until she felt she had all the information needed on a given subject. Her house was overflowing with books, on the floor and tables because all her bookcases were full. She was interested in everything, so a conversation with her was lively, informative, and filled with more facts than you could digest in one setting. She could go into her office and return with the minutes of a meeting that took place 20 years ago, or a newspaper article she’d read in the Los Angeles Times in 1960. She had the ability to remember where, when, and what happened at any given time. And she was always right. She touched our hearts and helped expand our minds, and always did so with style and grace. Bess helped educate many Lompoc residents on our community’s rich history, and entertained us with her stories about past Lompoc events and happenings. But she didn’t limit herself to just Lompoc. Bess was very active in many countywide organizations, such as SBCAN (the Santa Barbara County Action Network) and the Citizens Planning Association. Bess worked tirelessly to defeat the county split, not once, but twice; she also worked to defeat state water in Lompoc, not once, but twice. She often joked about how many times we had to fight the same battle, but at least we were on the winning side. Bess worked on, or financially supported, campaigns for progressive candidates and issues such as increasing workforce housing and shelter for the homeless, protecting the Gaviota Coast, and saving farmland to the west of the City of Lompoc. 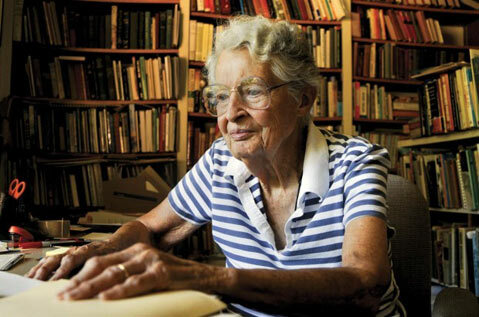 She was a strong supporter of efforts to build Charlotte’s Web, a children’s library. Bess served on the Lompoc General Plan Advisory Committee for 10 years. She was a founding member of the Lompoc Valley Botanical and Horticultural Society. She was a past member of the boards of the Lompoc Democratic club, National Organization for Women, Lompoc Museum, and Lompoc Library Foundation. She served on the Lompoc City Blue Ribbon Committee and on the City Water & Utilities Commission. Bess could be counted on to speak at City Council and Planning Commission meetings on a regular basis. Many times in the past year, she called to ask if she could have a ride to a meeting because she was too tired to drive but felt she needed to speak on an issue. She was not afraid to get up and tell elected officials they were wrong, but she did it with such civility that often they thanked her and sometimes they changed their former position. She attended hearings on matters that impacted not only Lompoc but Santa Barbara County. She hosted many meetings at her house, where important issues were discussed and strategies developed. Bess had a love for flowers, and her drought-tolerant garden showed it. She also loved good food combined with good conservation, and she loved to play hostess at the many dinner parties where, over food and wine, the problems of the world were considered. She once told me her favorite meal was a BBQ at Sherry and Art Hibbits’s Ranch, under the California walnut trees, where all you had to do was look around you to know what was important to preserve. But let me tell you what I loved best about my friend Bess. She loved life and lived it to the fullest. She took great joy in a new bloom on a flower, a stray dog running in the park, or having a glass of wine or a cup of coffee with a friend. Whenever I left Bess’s house after one of our chats, I felt like I had a warm blanket wrapped around me and life was good. Bess was a community activist in the best sense of the word. She helped make our community a better place to live for us today and for future generations. And so I will end this tribute to my friend Bess the way she always ended a conversation with me. Joyce Howerton is the former mayor of Lompoc.